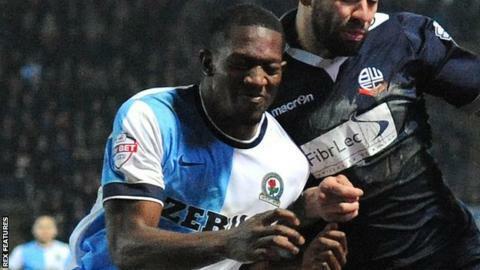 Blackburn Rovers have re-signed defender Doneil Henry on loan from West Ham United until 3 January. The 22-year-old Canada international played three games for Rovers during a loan spell last season. Henry joined the Hammers from Cypriot side Apollon Limassol in January 2015, and has made one first-team appearance. "It is great to be back here again - it is a great club. The last time I was here I felt really welcomed," Henry told the club website. His previous loan spell at Ewood Park was cut short by a hamstring injury. New Rovers manager Paul Lambert said: "I'm delighted to be able to bring Doneil back. I know that he did very well last time he was here, prior to his injury. "We felt that it was important to add an extra body to the defensive department and Doneil was the obvious choice." Rovers have also announced that midfielder John O'Sullivan, 22, has signed a new one-year deal until 2017.